The current JRC Haulage and DLC Haulage fleet profile comprises a range of 8 wheeler tipper trucks. 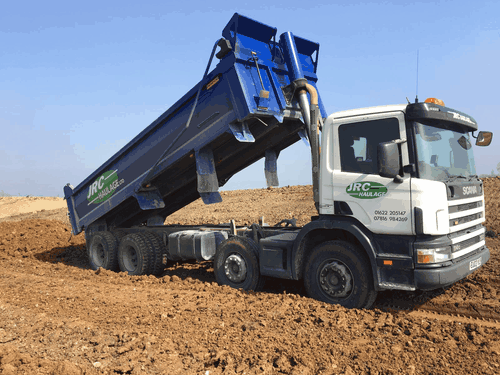 Our Tipper trucks are 32 tonne 8 wheeler vehicles with a pay load of approximately 20 tonnes. 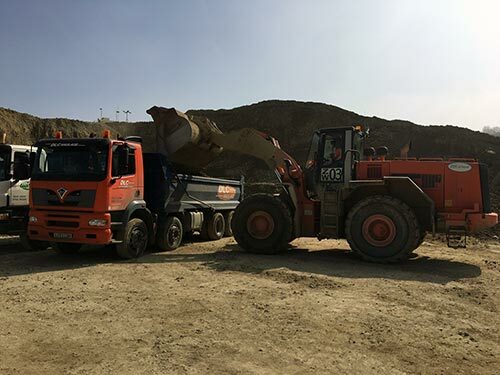 The reason we use these trucks is that our customers need large amounts of materials, sand, gravel and aggregate transporting from one location to another and the 8 wheelers are the best to use. They are the mainstay of our fleet and are fitted with a front to back sheeting system. 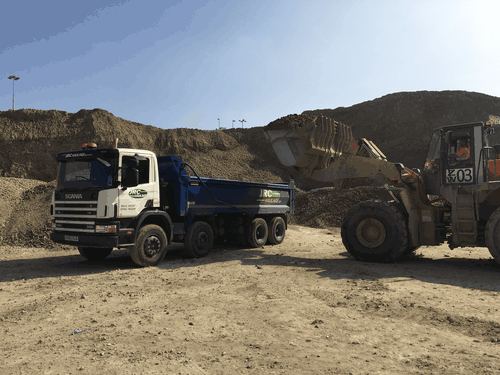 At Tipper Haulage Solutions our fleet profile is being constantly reviewed depending on customer demand and our primary aim is to be as flexible as possible. Whatever your need, call us first and we will see what we can do. Our vehicles are safety checked daily before heading out on the road. Safety on the roads and on any construction site is very important to us and we ensure that every vehicle in our fleet meets the highest safety standards. The Customer comes first – Always. As a Kent Haulier, and as part of our desire to drive our efficiency forward, we constantly measure the performance of our tipper trucks. Our customers need and demand the best services so our approach to our customer care is our top priority. As part of our measurements, We analyse attendance, time, tonnes delivered and any customer concerns to ensure that we are fulfilling that vision. We keep in constant contact with our drivers through tracking devices which provides us the intelligence we need to make the most accurate forecast of journey times and delivery to site. On our busy Kent roads, there are so many variables that this tracking information provides us with the location of our vehicles, their speed and current direction of travel. Our customers use our services because we keep them informed. Good local, professional firm. 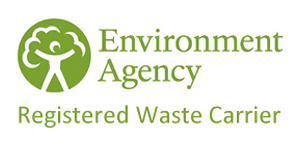 They provided a quick hassle free service for us at a competitive price.